Call Just Appliance Repairs for washing machine repair & maintenance in Port Orange, New Smyrna Beach, Edgewater, Oak Hill, Mims, Titusville, Port St John, Cocoa, Merritt Island, Rockledge, Cocoa Beach, and Cape Canaveral. Nothing is more aggravating than to start your laundry to find out your washing machine is not working properly. When you put the clothes in your washer and turn it on you expect it to work and that your clothes will come out clean, but what do you do if things don’t work out. It doesn’t start or begins leaking water all over the place, or at the end of the cycle, your load of clothes is soaking wet. No reason to throw your washer out. Give Just Appliance Repairs a call and we will come out and get to the bottom of the problem. 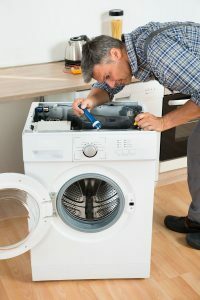 It just might be that something simply needs to be repaired and you can save a lot of money getting it repaired instead of buying a new appliance. 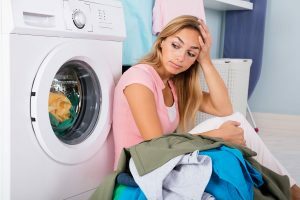 If you have washing machine repair issues, we can help. Call us at (321) 420-0025 today and we will get to the bottom of your repair issues. Washing machine repairs can differ from job to job, but one thing never changes. At Just Appliance Repairs, we’ll attend to your problems (whatever they may be) quickly and we get it right. At Just Appliance Repairs we have you covered. Most times we have the parts with us to get your washing machine up and running on the first trip. We also have the expertise to work on the modern washing machines with their onboard computer boards and multiple sensors that need to work in harmony for your washer to work correctly.